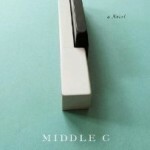 Gass’s new novel, Middle C, is likely to strike most readers as less dependent on language games, but such an impression would ultimately be only superficial. Throughout the book’s 25 essays, Gass is the champion—sometimes joyful, sometimes harsh—of intellectual fitness. For him, reading is a form of aerobics.